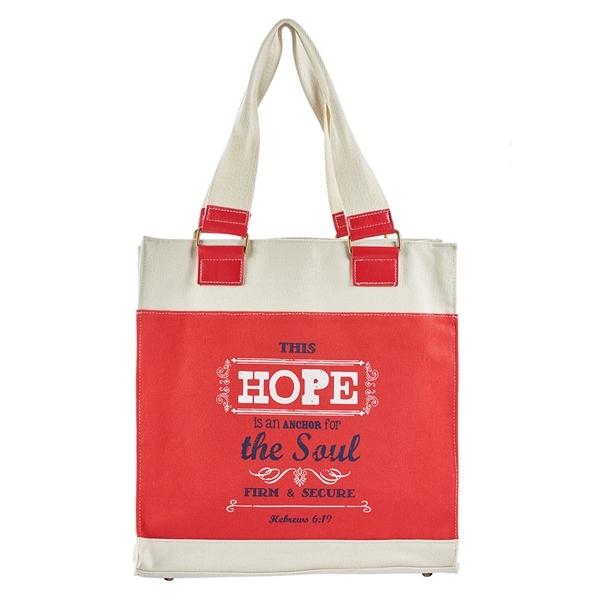 This tote bag is red and white in color and reads "This hope is an answer for the soul, firm and secure" on the front and the back. 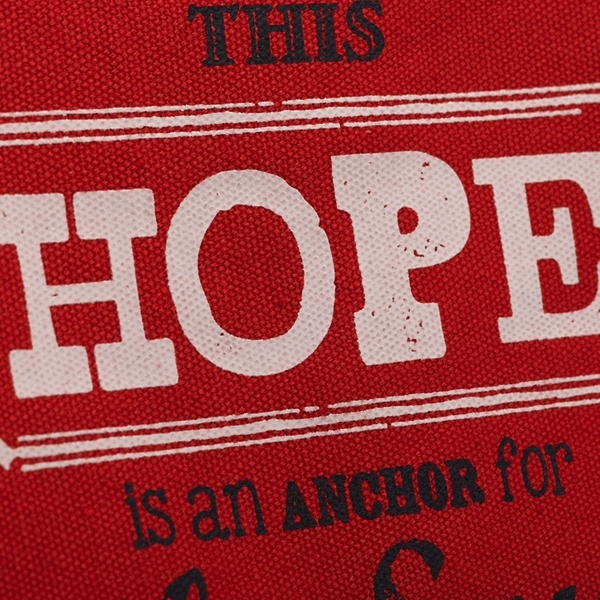 It is inspired by Hebrews 6:19 which reads, "We have this hope as an anchor for the soul, firm and secure. It enters the inner sanctuary behind the curtain." 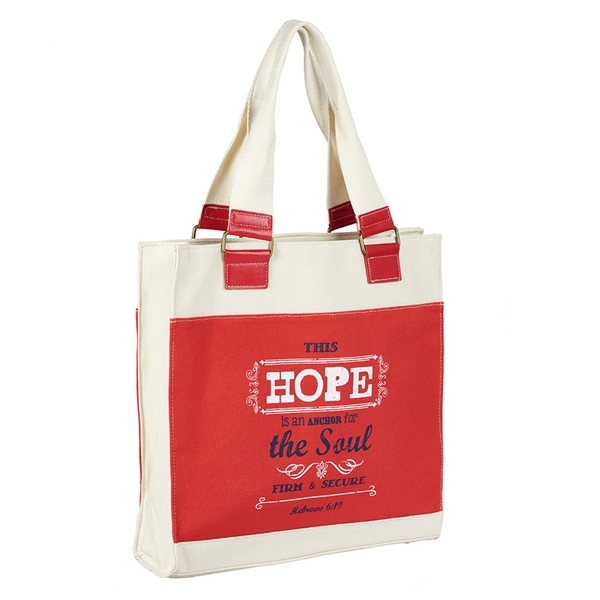 This heavyweight canvas bag is gusseted at the side for expansion, has brass tone metal feet on the bottom for protection, reinforced long canvas handles and a magnetic snap closure. The bag is trimmed with natural canvas and a soft faux leather. 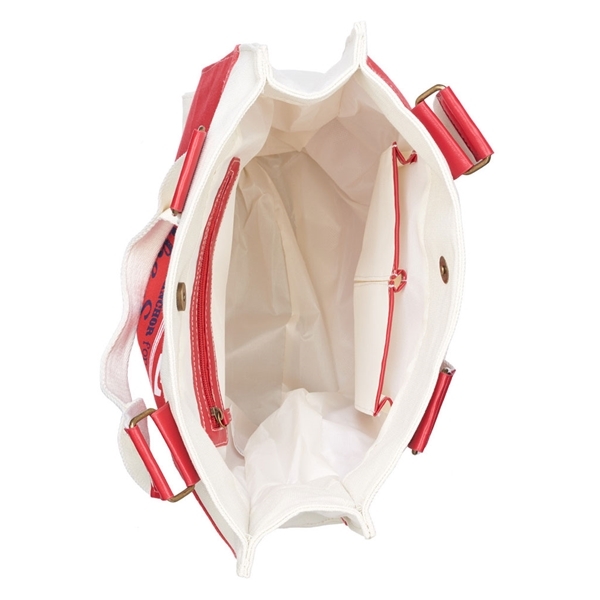 The lined interior boasts a zippered pocket and two gusseted slip pockets, sized right for your phone.